Dr. Ashraf Abdelaziz is an Orthopedic Surgeon who specializes in hand and microsurgeries. 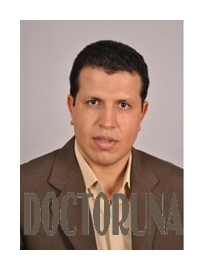 He received training in orthopedic surgery and traumatology from Assiut and Al Azhar universities in Egypt. He also completed a fellowship in hand and reconstructive microsurgery unit, a fellowship in hand surgery at Rhon- Klinikum, Germany, a fellowship in Paley institute for advance limb reconstruction, Saint Mary Hospital, USA, fellowship in Kinderkrankenhaus Wilhelmstift Hospital, Germany and a fellowship in orthopedic trauma surgery in Luzerner Kantonsspital, Switzerland. Dr. Abdelaziz offers various procedures and treatments including finger transplantation, tendon transfer, as well as, treatment of hand deformities, fractures and tumors. He is also skilled in lower limb tumor, muscle transplants and finger deformities.